After two in-person sessions, I’ll take your goals and movement abilities into account to design a personalized six-week workout program. All workouts are designed so that you can do them on your own time, in your own home if you prefer. Please email Nicole at nicole@mamasgottamove.com. If you are interested in personal training, please email nicole@mamasgottamove.com. Rates start at $80/60-minute session. Are you a new mama looking to resume working out and get in shape after pregnancy? Do you have questions about how to strengthen your abdominal muscles and pelvic floor, or concerns about what exercises are safe to do with diastasis recti? 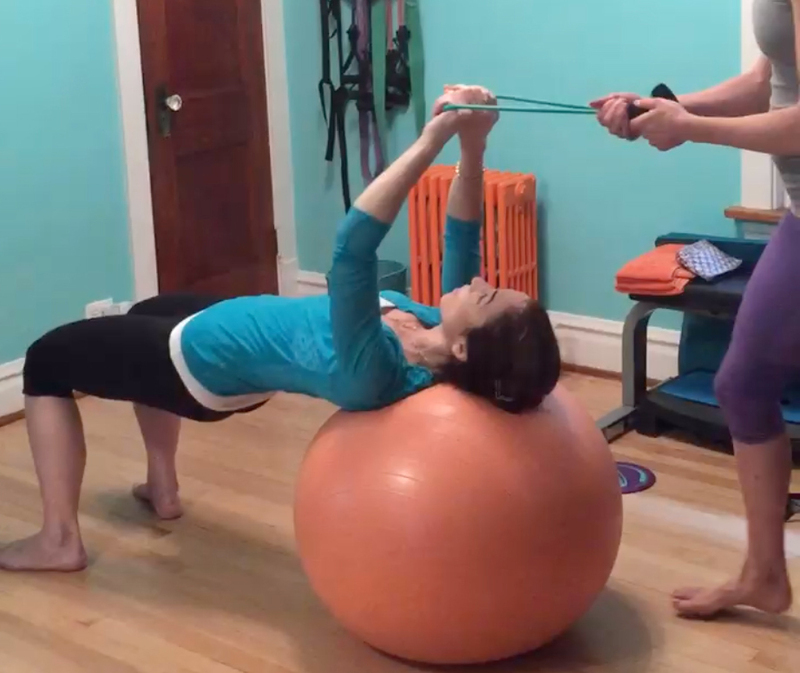 In three sessions, you’ll learn how to connect with your deep core muscles; why alignment matters and how to improve yours; and effective exercises you can do at home, with or without baby. Whether you are an avid lifter, runner, yogi or just a mama looking to move well, this package will help you safely and confidently return to the activities you love. A great value and perfect baby shower gift for the active mom. Contact: nicole@mamasgottamove.com to purchase or for more information. Sign up to receive fitness tips, workouts, and updates on classes and promotions!